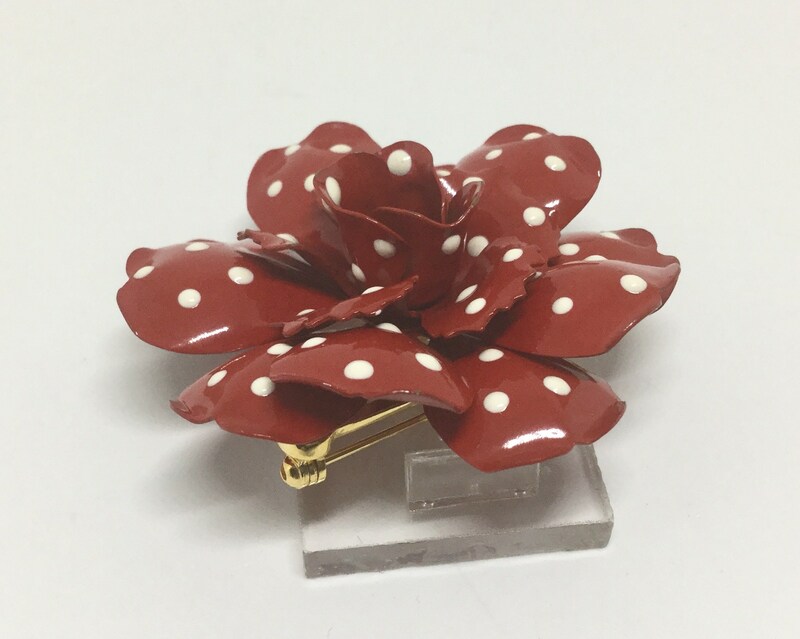 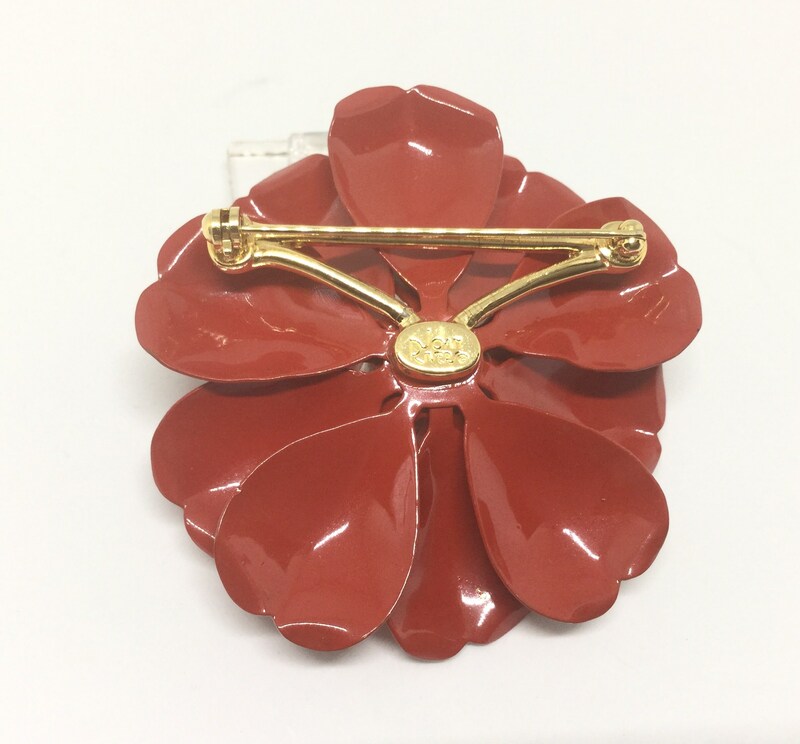 This is a very collectible 1990s classic Joan Rivers red with polka dots metal flower brooch. 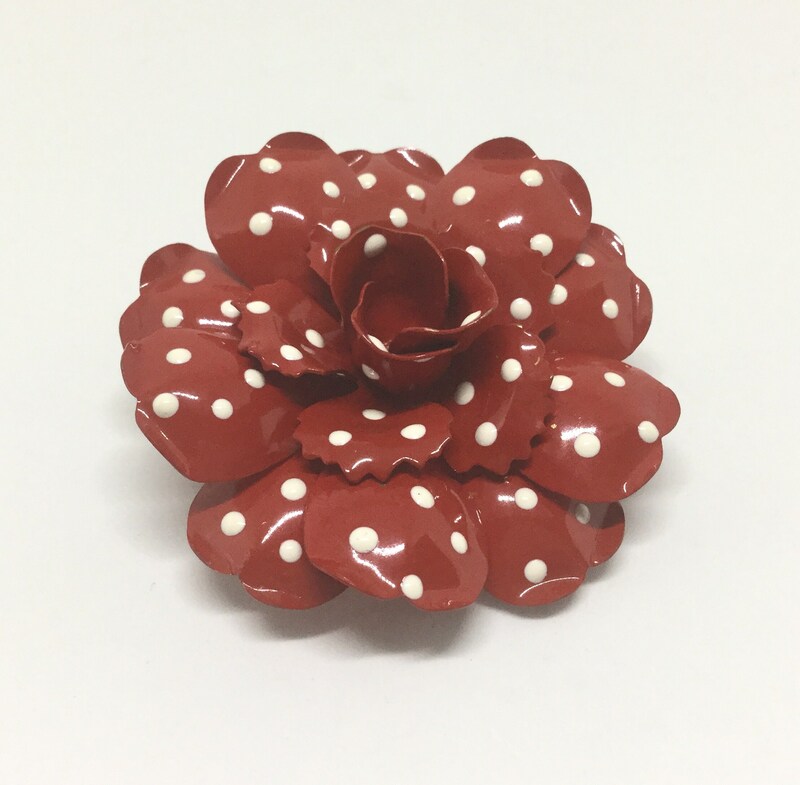 This enchanting brooch is made with a vibrant red with white polka dots epoxy enamel. 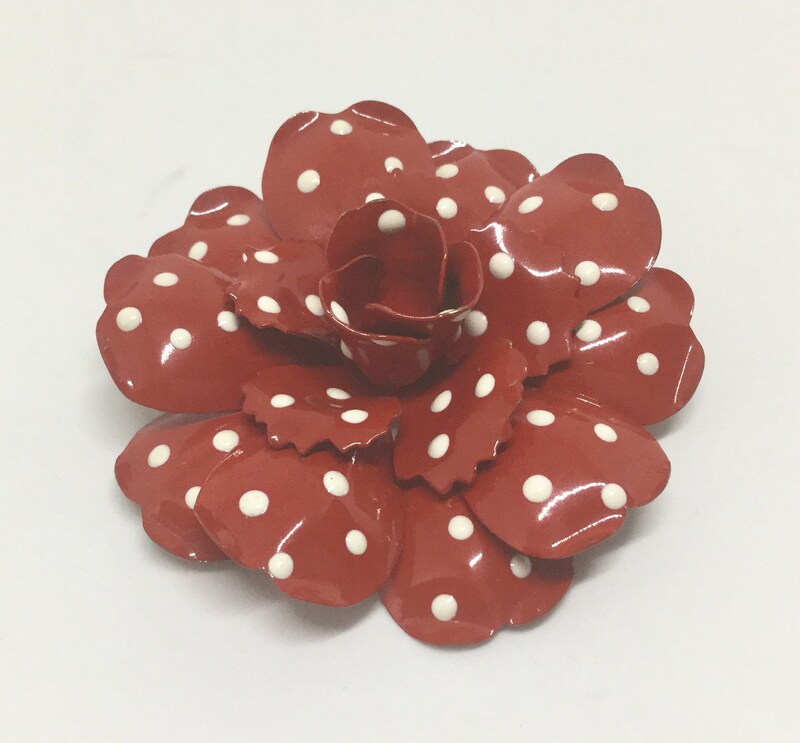 She has created a stunning dimensional with layers of petals with graceful curving lines. 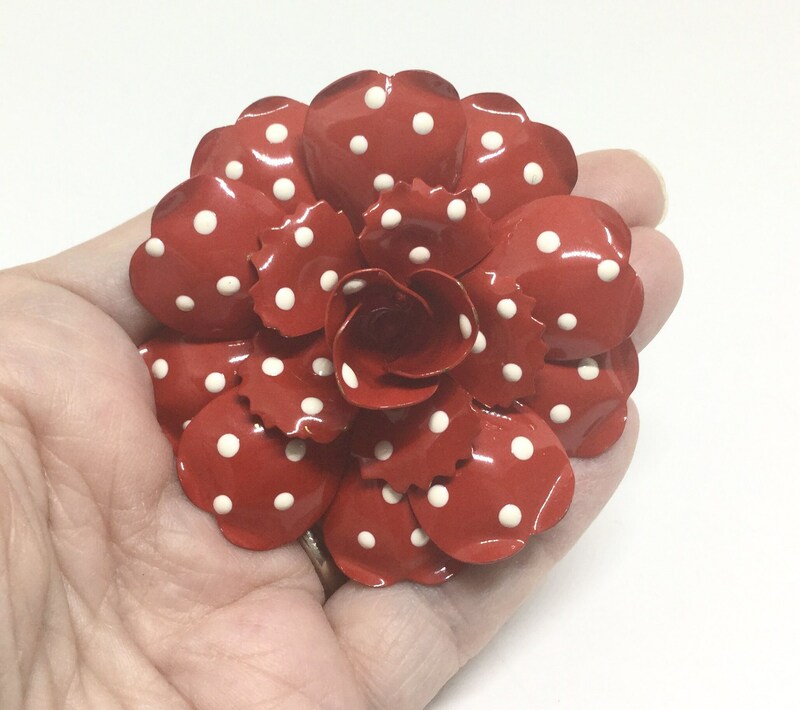 It is signed on the back, is 2 1/2” in diameter, and the pin closure is straight and works smoothly and securely. 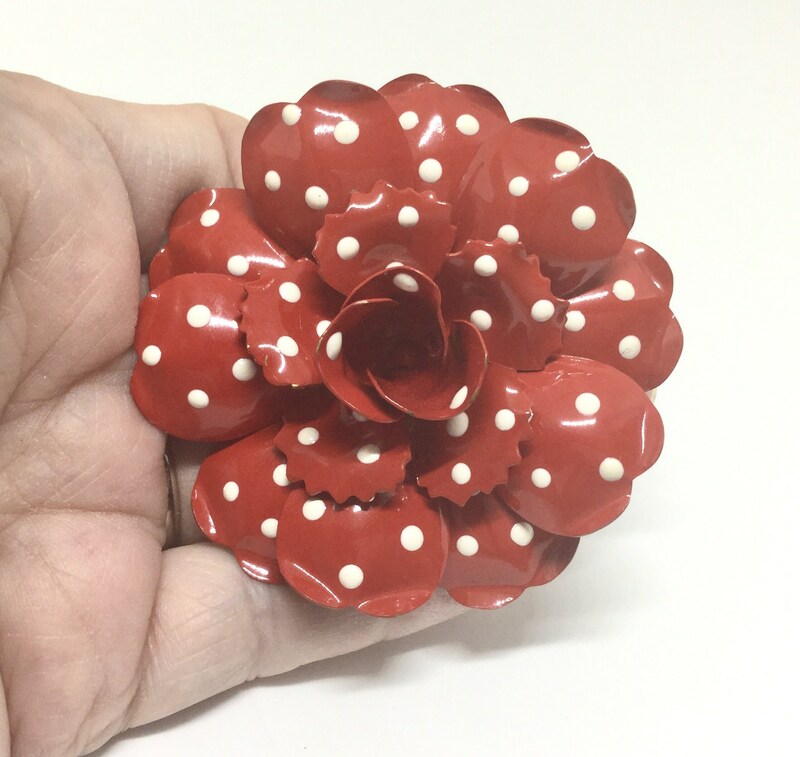 It is in like new condition. 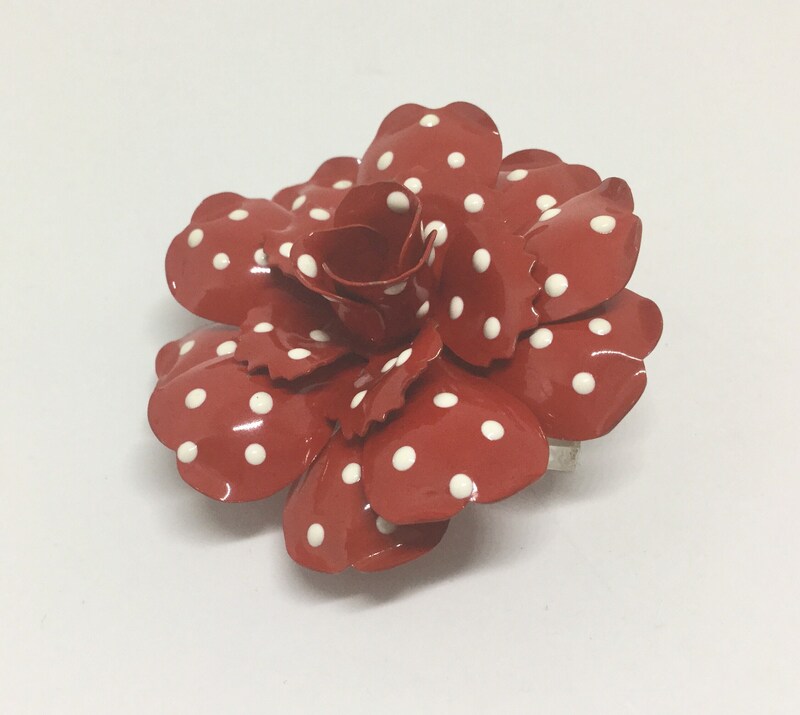 This is the perfect flower to brighten up and add a touch of enchantment to any outfit. 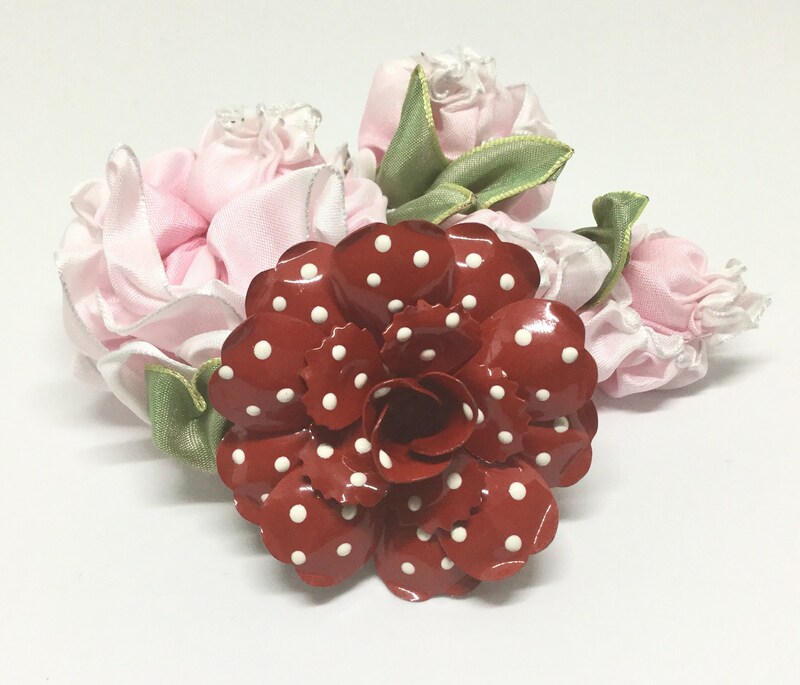 Also a great gift or wonderful for a floral wedding bouquet!